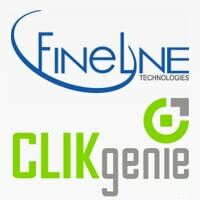 Product labelling supplier FineLine Technologies, NFC and QR code specialist ClikGenie and tag maker Smartrac have launched ClikSecure, an NFC-based service for brands and retailers. ClikSecure offers both product authentication for brands and information services for retailers within one service and uses NXP‘s Ntag and iCode chip technologies. A demonstration application has been developed that shows how the service could work for a wine maker. “Consumers may tap the inlay using any NFC-enabled phone to receive information the brand owner wants to share, such as details on the vineyard, wine ratings, food pairings, and tasting notes,” Smartrac explains.